“Smok Wawelski” jest popularną historią. Istnieją trzy wersje legendy. Wincenty Kadłubek, biskup Krakowa od 1208 do 1218 roku, napisał pierwszą wersję. W tej historii syn króla zabija smoka. Drugą wersję napisał Jan Długosz w pietnastym wieku. Ta wersja jest podobna do oryginału ale tutaj to król zabija smoka a nie jego syn. Trzecią, najbardziej popularną wersję i napisał Marcin Bielski, historyk w piętnastym wieku. W tej wersji, Bielski dodał nowy charakter: Szewczyk, który nazywał się Skruba lub Dratewka. W ten wersji szewczyk zabija smoka. Dzisiaj w Krakowie, jaskinia smoka jest popularna wśród turystów. Pomnik Smoka Wawelskiego został zamontowany w 1972 r.
For our project, we decided to look into a Polish folk- or fairy-tale. Our aim was to research the history of our chosen story, discover the oldest known version and its credited author if one exists, and find origins for any variations. 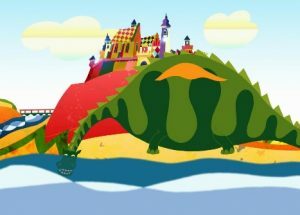 The story we selected is the story of ‘Smok Wawelski,’ or the ‘Wawel Dragon’ in English. There are three versions, one written in the 13th century and two written in the late 15th century, and two distinct endings to this story. 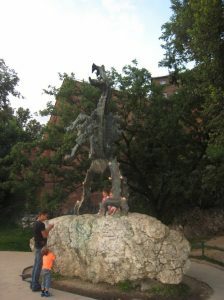 In the oldest version, our version of which was taken from the Wawel Castle website, the dragon is killed by the sons of the king. The younger son then kills the older and becomes king, but is later found out and banished. This original story was recorded by Wincenty Kadlubek, a historian and priest, and later the Bishop of Krakow in the 13th century. 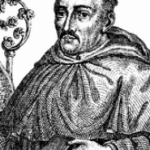 Kadlubek is most famous for his work, the “Chronica Polonorum,” or the Chronical of Poland, where the original story appears (Wawel Cathedral). The second version of the story of Smok Wawelski, written by the historian Jan Dlugosz in the 15th century that is very similar to the 13th century version. This version features no change in characters, unlike the other 15th century version (which we will get to). The most significant change is which character slays the dragon. In the Dlugosz version, it is the king himself who kills the dragon (Bryll). Other than that, the Dlugosz version is very similar to the original Kadlubek story. 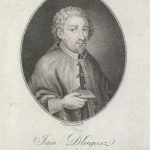 The third and final version was, during our research generally credited to the historian Marcin Bielski, although one source (“Dragon’s Den”) lists his son, Joachim, as the author. This version is the more divergent of the 15th century versions. The greatest alteration is the addition of the character of the shoemaker, who is alternately called Skruba or Dratewka. In this version, the dragon eats young women, not cattle, and the king’s daughter is the next offering. The shoemaker defeats the dragon, saves the princess, and marries her. This version seems to be the most popular one. Beautiful new restoration of Kieślowski’s THE DECALOGUE screens at the Cinematheque: Sept 5-14. CLICK links for in depth information.